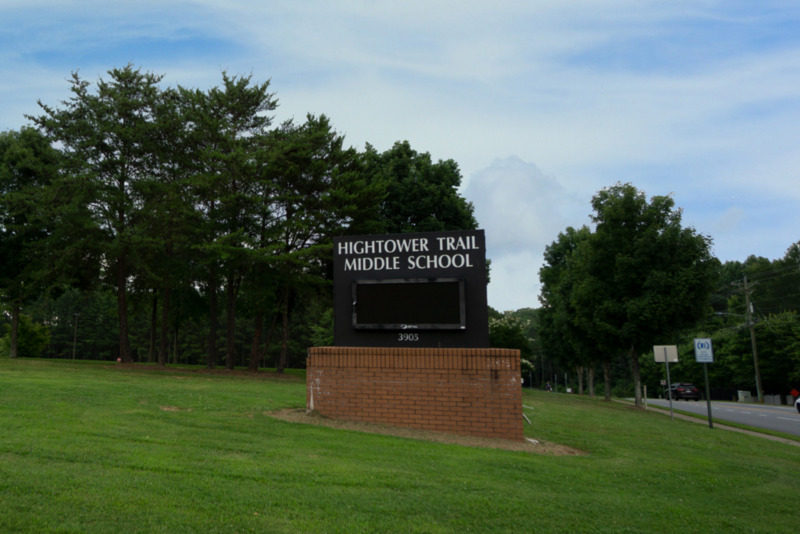 Hightower Trail Middle School is an East Cobb school. 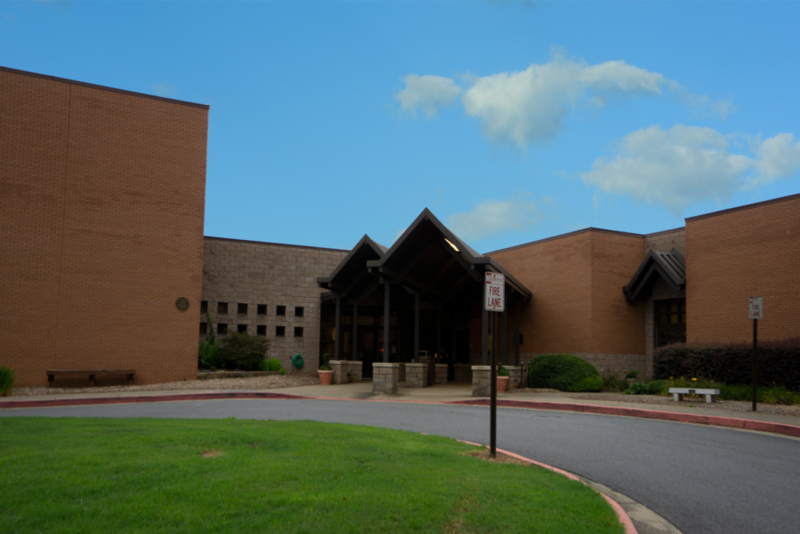 The school is located at 3905 Post Oak Tritt Rd. in Marietta, Georgia. The school teaches grades six, seven and eight. It is part of the Cobb County School District. High Tower Trail Middle School Main Entrance in East Cobb County, Georgia. This East Cobb middle school is STEM Certified. There are many clubs such as academic bowl, beta club, band, orchestra, and athletic clubs. The school’s mission is “engagement, performance, and application,” according to their official website. 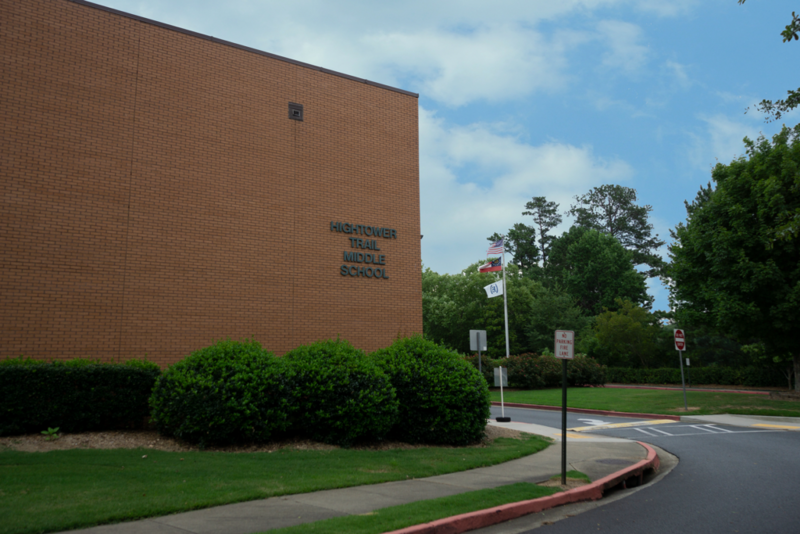 As a result, HTMS is a top-performing Georgia school. HTMS students score high on tests. Over 93% of students are on-track for graduation, and 74.7% of students are studying advanced academics due to the school. Hightower Trail Middle School Main Academic Entrance. Hightower Trail Middle School has a unique strategic plan for each academic year. Goals for the strategic plan change each year. 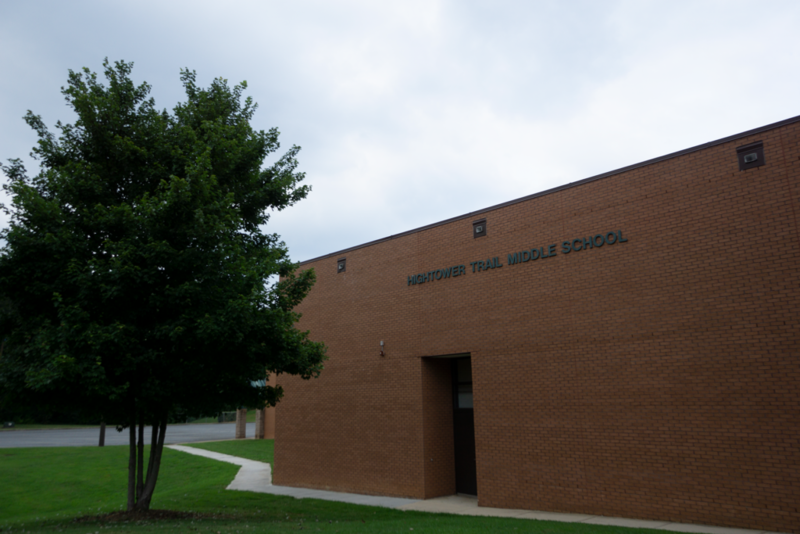 A current goal for the school is to “vary learning experiences to increase success in college and career pathways.” Furthermore, Hightower Trail Middle School has weekly character education on topics like self-respect and honesty. Also, the school observes a tough stance against bullying and cyberbullying. HTMS Building in Marietta, GA. Even more, parents of students have easy access to school notifications with an online portal called “Blackboard.” Other resources such as daily lunch menu items are on the Hightower Trail Middle School website. Baked chicken, pizza, nachos, salad, vegetables, and fruits are examples of lunch menu options. Students may choose to take their own lunches, or may purchase a lunch at the cafeteria. A view of the main school building at HTMS. To enroll a student into Hightower Trail Middle School, view the five main requirements located at http://www.cobbk12.org/aboutccsd/enrollment/ Residence in the school district and specific immunizations are required. If you would like to view a house for sale, or sell a house in the HTMS district, Sellect Realty is your real estate contact. Sellect Realty’s main office is located near the school, and our agents personally have students in the district. We are very knowledgeable about the area. Sellect Realty agents can be reached at 770-509-0265 or send an e-mail to contact@sellectrealty.com for more information.